We have many clubMINI VIC branded clothing available for purchase. All clothing products are made from high quality materials. 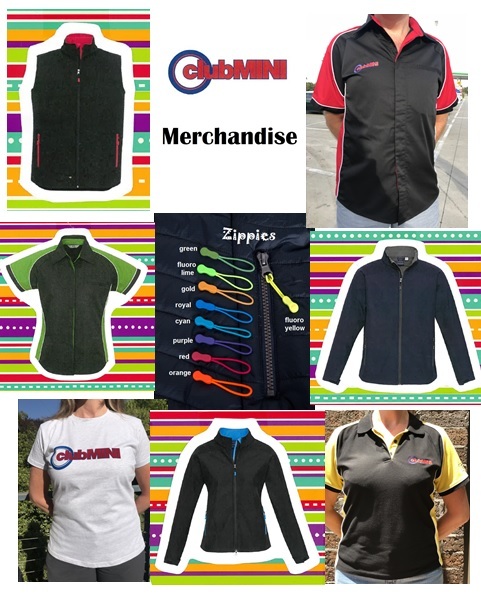 If you would like to purchase any of our products or have any questions regarding any of our merchandise, please send an email to our Merchandise Officer at clubMINI Vic .